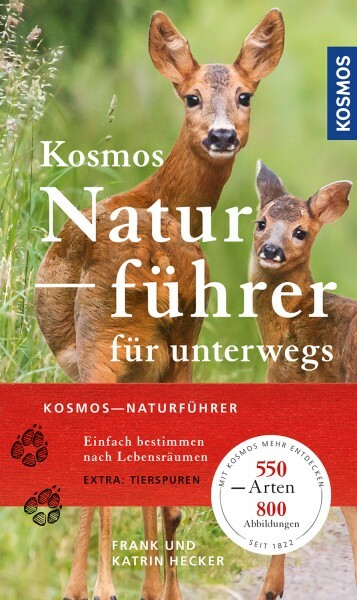 Product information "Kosmos-Naturführer für unterwegs"
Identification made easy with the help of a clear structure divided into habitats: forest, meadow and field, village and city, water, mountain, coastline. Includes portraits of the 550 most important and well-known animal, plant and mushroom species. 550 species and nearly 1,000 pictures. The authors Katrin and Frank Hecker are graduate biologists, specializing in zoology and botany, respectively. For many years they have jointly published articles on natural subjects in established magazines and newspapers.